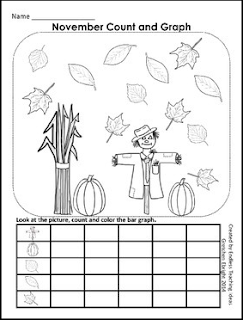 This is a free math printable from my Kindergarten Math and Language Arts Packet for November. The kiddos count the objects in the picture and color the graph accordingly. 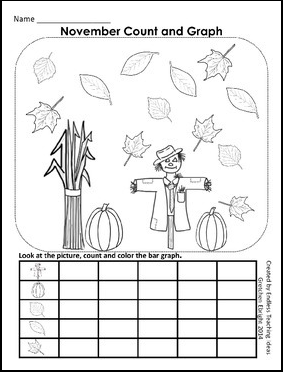 If your students enjoy this freebie please check out the 20 printables that are available in the November packet.